"J. N. Darby" redirects here. For American author and naturalist who sometimes used this as a pen-name, see Mary Q. Steele. John Nelson Darby (18 November 1800 – 29 April 1882) was an Anglo-Irish Bible teacher, one of the influential figures among the original Plymouth Brethren and the founder of the Exclusive Brethren. He is considered to be the father of modern Dispensationalism and Futurism. Pre-tribulation rapture theology was popularized extensively in the 1830s by John Nelson Darby and the Plymouth Brethren, and further popularized in the United States in the early 20th century by the wide circulation of the Scofield Reference Bible. He produced translations of the Bible in German "Elberfelder Bibel", French "Pau" Bible, Dutch New Testament, and English (finished posthumously) based on the Hebrew and Greek texts called The Holy Scriptures: A New Translation from the Original Languages by J. N. Darby. It has furthermore been translated into other languages in whole or part. John Nelson Darby was born in Westminster, London, and christened at St. Margaret's on 3 March 1801. He was the youngest of the six sons of John Darby and Anne Vaughan. The Darbys were an Anglo-Irish landowning family seated at Leap Castle, King's County, Ireland, (present-day County Offaly). He was the nephew of Admiral Henry D'Esterre Darby and his middle name was given in recognition of his godfather and family friend, Lord Nelson. Darby was educated at Westminster School and Trinity College, Dublin where he graduated Classical Gold Medallist in 1819. Darby embraced Christianity during his studies, although there is no evidence that he formally studied theology. He joined an inn of court, but felt that being a lawyer was inconsistent with his religious belief. He, therefore, chose ordination as an Anglican clergyman in Ireland, "lest he should sell his talents to defeat justice." In 1825, Darby was ordained deacon of the established Church of Ireland and the following year as priest. Darby became a curate in the Church of Ireland parish of Delgany, County Wicklow, and distinguished himself by persuading Roman Catholic peasants in the Calary district within this parish to abandon the Catholic Church. The well-known gospel tract "How the Lost Sheep was Saved"  gives his personal account of a visit he paid to a dying shepherd boy in this area, painting a vivid picture of what his work among the poor people involved. He later claimed to have won hundreds of converts to the Church of Ireland. However, the conversions ended when William Magee, the Anglican Archbishop of Dublin, ruled that converts were obliged to swear allegiance to George IV as rightful king of Ireland. Darby resigned his curacy in protest. Soon afterwards, in October 1827, he fell from a horse and was seriously injured. He later stated that it was during this time that he began to believe that the "kingdom" described in the Book of Isaiah and elsewhere in the Old Testament was entirely different from the Christian church. Over the next five years, he developed the principles of his mature theology — most notably his conviction that the very notion of a clergyman was a sin against the Holy Spirit, because it limited the recognition that the Holy Spirit could speak through any member of the Church. During this time (1827-28) he joined an interdenominational meeting of believers (including Anthony Norris Groves, Edward Cronin, J. G. Bellett, and Francis Hutchinson) who met to "break bread" together in Dublin as a symbol of their unity in Christ. By 1832, this group had grown and began to identify themselves as a distinct Christian assembly. As they traveled and began new assemblies in Ireland and England, they formed the movement now known as the Plymouth Brethren. It is believed that John Nelson Darby left the Church of Ireland around 1831. He participated in the 1831–33 Powerscourt Conference, an annual meeting of Bible students organized by his friend, the wealthy widow Lady Powerscourt (Theodosia Wingfield Powerscourt). At the conference Darby publicly described his ecclesiological and eschatological views, including the pretribulation rapture. For about 40 years William Kelly (1821–1906) was his chief interpreter and continued to be a staunch supporter until his own death. Kelly in his work John Nelson Darby as I knew him stated that "a saint more true to Christ's name and word I never knew or heard of". Darby traveled widely in Europe and Britain in the 1830s and 1840s, and established many Brethren assemblies. He gave 11 significant lectures in Geneva in 1840 on the hope of the church (L'attente actuelle de l'église). These established his reputation as a leading interpreter of biblical prophecy. America did not embrace Darby's ecclesiology like it did his eschatology which is still being propagated (in various forms) at such places as Dallas Theological Seminary and by authors and preachers such as Hal Lindsey and Tim LaHaye. In 1848, Darby became involved in a complex dispute over the proper method for maintaining shared standards of discipline in different assemblies that resulted in a split between Open Brethren, which maintained a congregational form of government and Exclusive Brethren. After that time, he was recognized as the dominant figure among the Exclusives, who also came to be known as "Darbyite" Brethren. He made at least 5 missionary journeys to North America between 1862 and 1877. He worked mostly in New England, Ontario, and the Great Lakes region, but took one extended journey from Toronto to Sydney by way of San Francisco, Hawaii, and New Zealand. A Geographical Index of his letters is currently available and lists where he traveled. He used his classical skills to translate the Bible from Hebrew and Greek texts into several languages. In English he wrote a Synopsis of the Bible and many other scholarly religious articles. He wrote hymns and poems, the most famous being, "Man of Sorrows". He was also a Bible commentator. His writings were collected in his lifetime and published from January 1866 as "The Collected Writings of J. N. Darby"; there were 32 volumes published – two per year 1866–81 and two more soon after. He translated the Bible with the help of various brethren in different countries into German, French and English. He declined however to contribute to the compilation of the Revised Version of the King James Bible even though the revisers consulted Darby's work. Darby is noted in the theological world as the father of "dispensationalism", whose eschatology was adopted and later made popular in the United States by Cyrus Scofield's Scofield Reference Bible. Charles Henry Mackintosh, 1820–1896, with his popular style spread Darby's teachings to humbler elements in society and may be regarded as the journalist of the Brethren Movement. Mackintosh popularised Darby more than any other Brethren author. In the early twentieth century, the Brethren's teachings, through Margaret E. Barber, greatly influenced the Little Flock or Church Assembly Hall of Watchman Nee and Witness Lee. Charles Haddon Spurgeon, Pastor of the Metropolitan Tabernacle and contemporary of Darby, published criticism of Darby and Brethrenism. His main criticism was that Darby and the Plymouth Brethren rejected the vicarious purpose of Christ's obedience as well as imputed righteousness. He viewed these of such importance and so central to the Gospel that it led him to publish this statement about the rest of their belief in the Sword and Trowel. 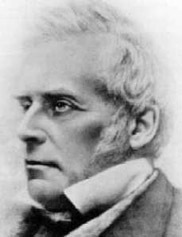 James Grant wrote: "With the deadly heresies entertained and taught by the Plymouth Brethren, in relation to some of the most momentous of all the doctrines of the Gospel, and to which I have adverted at some length, I feel assured that my readers will not be surprised at any other views, however unscriptural and pernicious they may be, which the Darbyites have embraced and zealously seek to propagate"
Robert Anderson (Scotland Yard) (1841–1918), Dispensational author, lawyer, British intelligence officer and London CID chief, in charge during Jack the Ripper murders. ^ J. N. Darby. "How the Lost Sheep was Saved". ^ The year in which Darby left the Church of Ireland, a branch of the Anglican Church, is not certain but a consensus of opinion is that it was possibly around 1831. Searches for formal documentation of his resignation have been made in the Church of Ireland archives, but nothing has been found. ^ It is widely believed that Darby and Lady Powerscourt were romantically attached but friends persuaded him that any marriage may prove a distraction. ^ J. N. Darby, "The Doctrine of the Church of England at the Time of the Reformation"
^ "Thy Precepts (magazine), Jan/Feb 1996, Vol. 11, # 1" (PDF). The Correspondents of John Nelson Darby, with Geographical Index and Chart of Travels. For the three volumes of Letters of J. N. Darby, it gives the page #, the language it was written in, recipient, place written, and date written; also contains a geographical index and a chart of his travels. ^ Elmer L. Towns (1 January 2000). "The Ten Greatest Revivals Ever: from Pentecost to the Present". Liberty University. Retrieved 13 March 2011. Years later, Nee To-sheng, better known outside of China as Watchman Nee, was influenced by a single British missionary, Margaret E. Barber. In 1909, Barber had submitted to believer’s baptism and left her Anglican mission to become an independent faith worker. She conducted “breaking of bread” meetings similar to those of the Christian Brethren. Nee To-sheng organized the Little Flock, a Brethren-style indigenous Chinese denomination. The True Jesus Church and Little Flock soon had more adherents than all other mission-sponsored churches combined. ^ Charles Spurgeon (June 1869). "Mr. Grant on "The Darby Brethren"". Sword and Trowel. Archived from the original on 20 December 2016. Retrieved 17 March 2013. ^ Grant, James (1875). The Plymouth Brethren: Their History and Heresies. London: William Macintosh. p. 60. Neatby, William B. (1901). A history of the Plymouth Brethren. pp. 13–18, 182–198 etc. Stokes, George T. (October 1885). "John Nelson Darby". The Contemporary Review: 537–552. Weremchuk, Max S. (1993). John Nelson Darby. Loizeaux Brothers. ISBN 978-0872139237. This page was last edited on 18 April 2019, at 14:37 (UTC).